Many people suffer from allergies which cause a multitude of symptoms including stuffy or runny nose, scratchy sore throat, sneezing, coughing, itchy, sticky eyes, hives, skin rash, headache, or anaphylaxis, a severe life-threatening medical condition. Allergic reactions occur when the body overreacts to what it perceives as a foreign substance. The immune system releases chemicals known as histamines into the bloodstream in an effort to fight off the invader. This creates the allergic response, and each of the accompanying symptoms. Most allergy technicians work in a medical office with a board-certified allergist. Courses include: anatomy, physiology, pathology, medical ethics, clinical training, medical terminology, insurance processing and pharmacology as it relates to medical assisting in general. Allergy technicians may also study specialized courses in allergy medicine and immunology. * The American Association of Medical Assistants (AAMA) advises allergy technician programs be accredited by the Commission on Accreditation of Allied Health (CAAHEP) or the Accrediting Bureau of Health Education Schools (ABHES). Although the majority of states do not require certification for medical assistants in general, most physicians and allergists prefer to hire those with additional qualifications. Allergy technicians may be certified by one or more of four institutions in medical assistance: the AAMA which offers a Certified Medical Assistant (CMA) exam, the American Medical Technologists which offers the title of Registered Medical Assistant, the National Center for Competency Testing which offers a National Certified Medical Assistant examination, and the designation of Certified Clinical Medical Assistant, offered by the National Health career Association. Specific, formal education is required only for the CMA certification examination. The employment outlook for allergy technicians is excellent according to the Bureau of Labor Statistics, with expected growth of 31% between 2010-2020. As reported by the BLS in May 2012, the median salary for allergy technicians was $29,370. 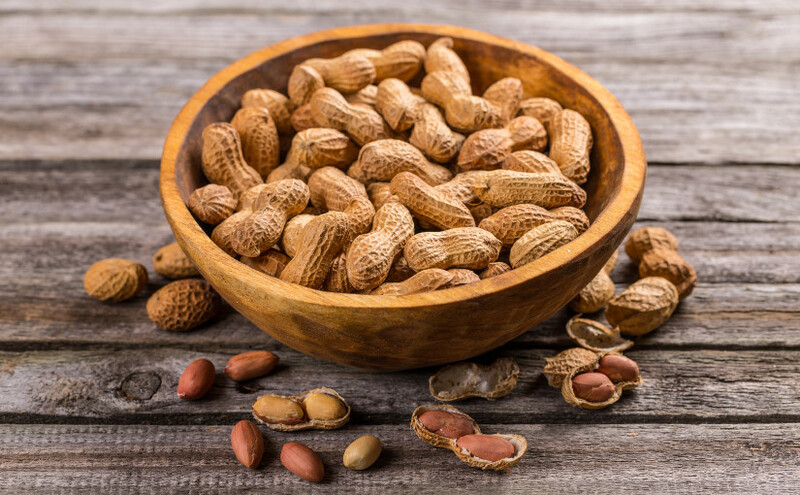 Peanut allergies have become one of the fastest growing health concerns among schools everywhere, considering the number of new cases reported in young children each year. The peanut butter and jelly sandwich, once considered a lunchbox staple is finding its way less and less into “nut-free” lunchrooms across the nation as school districts move to restrict peanuts and other peanut products from the classroom. What sets peanut allergies apart from many other food allergies is the potential severity of the allergic reaction. Peanut proteins are commonly associated with “anaphylaxis”, a dangerous, life-threatening condition that requires immediate medical treatment. When the body’s immune system mistakes peanut proteins for harmful foreign invaders it mounts an immune system response to protect itself. This results in an allergic reaction. Contact with peanuts either directly or indirectly can cause powerful chemicals to be released into the bloodstream. • Direct contact: Ingesting peanuts or foods/food products containing peanuts is the most common cause of exposure. Skin contact with peanuts may also cause an allergic reaction to occur. • Cross contact: This results when foods are exposed to peanuts during processing, handling, or preparation. • Inhalation: It is possible to trigger an allergic response by inhaling peanut dust from peanut products, such as peanut flour, or from aerosol sprays like peanut oil/spray. • Prevention and avoidance are the keys to successful management of peanut allergies. • Inadvertent exposure to peanuts may require the need for emergency medical treatment. • Some who suffer from peanut allergies carry an epinephrine auto injector. This can counteract the possible severe effects of anaphylaxis, which can be life threatening if not treated. • A peanut is not actually a tree nut, but a legume. Legumes are part of the same family as soybeans, peas and lentils. • Research at the National Institutes of Health reveals that roughly 20 percent of those with peanut allergies do eventually outgrow it. According to the Centers for disease Control and Prevention, food allergies impact more than 50 million Americans including some 4-6 percent of children and 4 percent of adults. These occur when the body’s own immune system, designed to protect itself from foreign invaders triggers an overactive response to allergens causing a myriad of symptoms. Allergy symptoms can range from mild discomfort to the more severe, life threatening condition, anaphylaxis that can impair breathing and shut the body down completely. Allergic reactions may affect the skin, gastrointestinal tract, cardiovascular system, or respiratory tract. While the majority of allergic symptoms present within two hours of ingesting a known allergen, reactions often occur within minutes. Rarely however, an allergic reaction can occur four to six hours later, as in cases of a skin allergy such as eczema developed by some children. A severe gastrointestinal allergic reaction known as (FPIES), or food protein-induced enterocolitis syndrome can occur up to six hours after consuming milk, soy or certain grain products. It is mostly common among young infants after ingesting these foods for the first time, (or being weaned) and results in repetitive vomiting which can lead to dehydration. The majority of food allergies can be managed by simply avoiding food triggers and the environments these foods are prepared in. Much of the time allergies run in families and can be inherited, though not always. It is impossible to predict whether children of allergy sufferers, or siblings will develop sensitivity to certain foods. Some food substances may also be “cross-reactive” meaning that allergies to specific foods may also crossover to general food groups. This happens with shellfish for example, when persons are allergic to shrimp, but also react to crab and lobster, or with peanut allergies and other tree nut reactions such as pecans, cashews, and walnuts. In most cases however, once properly identified, food allergies can be managed fairly well through product and environmental awareness and avoidance. Your body’s immune system works around the clock to defend itself against foreign invaders it has inhaled, ingested, or come into contact with. It does this by producing antibodies known as, Immunoglobulin E, or (IgE). These travel through the body to cells, releasing chemicals, which cause individual allergic reactions. These may include a multitude of symptoms including sneezing, itching, runny nose, hives—even the life-threatening reaction known as, “anaphylaxis” which can completely shut the body’s respiratory system down, among other functions. Physicians and medical practitioners combine a patient’s medical history and thorough physical examination with comprehensive allergy testing to determine specific allergy triggers. Not every person who experiences an allergic reaction will need to undergo allergy testing however. Some people are already aware of a mild adverse reaction that involves one or two types of foods or substances and can control allergy symptoms by avoiding these foods/substances. Certain symptoms if severe enough, or persistent may warrant allergy testing. 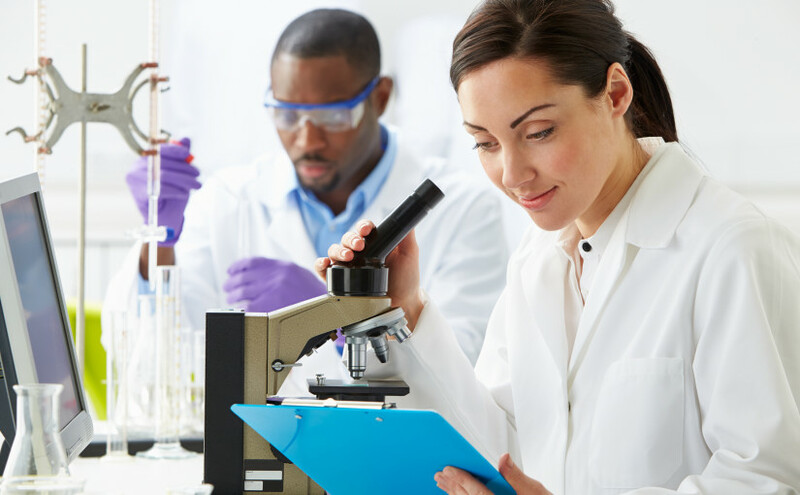 An allergist or immunologist will generally perform one or more tests to identify specific allergens for patients. These will be evaluated along with the medical history. IgE Skin Tests: The most common type of testing for allergies is the IgE Skin test, also known as the, “prick” test. This allows for a small amount of a specific allergen to be inserted under the skin. Once an allergic reaction occurs, a raised bump, (much like a mosquito bite) presents. Challenge Tests: These are generally performed when food or medication allergies are suspected and involve inhaling or ingesting a small amount of the substance. IgE Blood Tests: These may be performed when skin tests are not safe or viable for patients, because of skin conditions or certain medications, which may interfere with results. While most people naturally associate springtime with seasonal allergies when many trees, plants and grasses release pollens into the environment, each of the four seasons can actually trigger allergy symptoms in sufferers. Because allergies are the body’s overactive immune response to what it perceives as foreign “invaders”, allergens come in many forms at all different times of the year. From August to November Ragweed releases pollen into the air causing itchy swollen eyes, runny nose, scratchy throat and sinus congestion for many who are allergic. Prevalent mainly in the Midwest and on the East coast, Ragweed does grow everywhere in the United States and becomes airborne the most throughout mid-September. From December through March, indoor allergies affect millions of people, triggering a multitude of symptoms. (Milder winter temperatures can also bring about early pollination of some plants and grasses). One of the biggest allergens in springtime is pollen. April through June, these tiny grains are released into the atmosphere by trees, grasses, and weeds in order to fertilize other plants. When persons who are allergic ingest these tiny particles, the body’s immune system goes into overdrive. Warmer days, higher humidity and, outdoor activities leave allergy sufferers vulnerable to a host of common triggers present in summertime environments June, July, and August. Many of these are natural plants, grasses, and pests while others are common manmade substances. Although many allergens are present in each of the four seasons, certain plants and trees, as well as pollen counts vary by region throughout the country. Low Dose Allergy Treatment is a form of enzyme potentiated desensitization (EPD). This is a very low dose or homeopathic allergy treatment method. “EPD” or “Enzyme Potentiated Desensitization” was developed from a chance observation by Dr. Frantisek Popper, an Ear, Nose, and Throat Physician working in London in 1959. He found that “Hyaluronidase” injected into the nasal mucosa of patients with nasal polyps sometimes relieved sneezing. Then Dr. Len M. McEwen of London in 1967 showed that the enzyme “beta glucuronidase” derived from hyaluronidase had desensitizing activity. Beta glucuronidase mixed with a tiny dose of allergen or antigen could desensitize humans and animals. Low Dose Allergy treatment or Enzyme Potentiated Immunotherapy produces tolerance to allergens at the cellular level. The precise “ultra low doses of allergens” required for enzyme potentiated desensitization with the enzyme beta glucuronidase have led some authorities to consider LDA to be compatible with Homeopathic principles. Beta glucuronidase is now recognized as a natural biological response modifier and under normal circumstances is likely to be a significant physiological up regulator of the lymphocyte immune system. All present evidence is that LDA restores/ reinforces the natural active cellular immune tolerance to specific environmental antigens (allergens), which has broken down in allergic disease. The Safety of Low Dose Allergy Immunotherapy: LDA uses a natural pathway of immune modulation at a strength less than that which occurs in nature. The treatment would be expected to be exceptionally safe. In a United States study, repeated ear infections in children responded to LDA better than any other condition. Many double-blinded studies have proven the effectiveness and safety of the LDA (EPD) treatment. LDA is discussed as “EPD” or Enzyme Potentiated Desensitization in current medical textbooks including the medical textbook “Food Allergy and Intolerance” by Dr. Jonathon Brostoff et al. Pollen, dusts, molds, and animal danders can be treated with a minimum of preparation. Asthma, migraine, irritable bowel syndrome and crohn’s, urticaria, allergic arthritis, genitourinary allergy, neurologic allergy, food allergy, and chemical sensitivity all may require more sophisticated evaluation for treatment. Improve environmental controls beginning two weeks prior to the LDA injection. Avoidance of cats, dogs, and clean up of a dusty or moldy house. And it is important to stop using all fragrances and fabric softeners. Improve nutrition and diet beginning two weeks before the LDA injection. A low yeast diet and/or a rare foods diet may be recommended and prescribed. Eliminate any hidden yeast infections (using gut preparation) prior to LDA injection. Elimination from the gut of hidden yeast infection with Diflucan or Nystatin/Amphotericin is the minimum precaution especially in treatment of food allergy. In most patients it will be wise to prepare for LDA with Fluconazole or Itraconazole. A yeast free diet alone is not adequate to eliminate vaginal Candidiasis. Bismuth eliminates yeast and Heliobacter from the gut and should be used in the gut preparation. Avoid Aspirin, anti-inflammatories, and Acetaminophen for 3 weeks. Avoid alcohol for 10 days. Avoid immunizations and dental treatment for two weeks. Insurance coverage and acceptance in the medical community: LDA is currently not covered by American health insurance carriers. THERE ARE TWO BASIC TYPES OF FOOD ALLERGY. Some forms of “food intolerance” are not considered food allergy, even though symptoms may be similar. True “food allergy“ is immune mediated. Delayed reactivity or hidden food allergy is IgG mediated. This is a cumulative type of allergy. The body develops antibodies against foods eaten frequently. Many chronic illnesses triggered by food allergy are associated with delayed or cumulative food allergy. Sometimes a food allergy is a concomitant allergy. A concomitant food allergy may be related to a pollen or mold allergy. This is a masked or hidden food allergy. For example, in ragweed or hayfever season certain foods should be avoided if you are allergic to ragweed…like milk, melons or bananas. If you are symptomatic and suffering from recurrent symptoms suggestive of hidden food allergy, it is important to identify major allergens through allergy testing. Examples: Pork allergy can trigger allergic arthritis. Citrus allergy can trigger genitourinary allergy and increased susceptibility to frequent urinary tract infections. Yeast and mold allergy can trigger skin rashes, asthma, stomach bloating and gastritis and even susceptibility to yeast infections in women and Allergic Vulvovaginitis. Egg allergy can trigger headaches and migraine. Milk allergy can trigger recurrent ear infections, sneezing, leg aches and stomachaches. Tomato and wheat allergy can trigger inflammatory bowel disease or Crohn’s Disease. It is important to note that the scientific medical literature supports the viewpoint that food allergy is often an overlooked cause or aggravating factor in many chronic illnesses. Many physicians do not look for food allergy as a cause of chronic illness; therefore, food allergy is overlooked. When food allergy is discovered and properly treated, it can sometimes prevent the need for symptom relieving medication. Susceptibility to infection may be a symptom of chronic food allergy due to an immune system overload phenomenon…. or the allergic load threshold effect. Food Allergy and food intolerance are not the same but may present with the same symptoms. The controversy in medicine surrounding food allergy and food intolerance has not been resolved. This controversy is related to the medical controversy surrounding chemical allergy and chemical sensitivity. Food intolerance may be related to chemical sensitivity.Many physicians refuse to treat food allergy because its role in causing or aggravating chronic disease is not perfectly clear, and it is emphasized in medical training unless you are a trained allergist. You can become allergic to your favorite foods.Cumulative food allergy is a masked food allergy/addiction. If you crave a food like peanut butter, you might eat it almost every day. Peanut butter then would become a suspect hidden food allergen triggering your bodily symptoms. When you stop eating peanut butter your body might actually go into a withdrawal phase, similar to withdrawal in drug addiction, and you could feel worse initially. You might even get a “buzz” or a stimulated effect from the addicted food. Fatigue, edema, weakness, and symptoms of hypoglycemia from the stimulatory and withdrawal symptoms of allergic addiction to foods can affect your autonomic nervous system leaving you feeling drained and feel out of balance. Food allergy can affect your other airborne allergies making them worse.You can become “maladapted” to the foods you crave and are addicted to. Then you feel sick and seek medical attention. Any craved food can be an addictive hidden allergic food. There are pro-inflammatory foods and anti-inflammatory foods. An allergic food can trigger inflammation. Inflammation is what causes symptoms in the body. Inflammatory mediators being released in the body from the allergic process cause the fatigue one feels from an allergic reaction.A vegetarian diet appears to be the least inflammatory diet and is also an alkaline diet. However, this does not always help everyone. Individualized allergy rotation diets work best once you find out which foods is your safe and which foods are your allergic ones. Leaky gut syndrome symptoms are symptoms of inflammation causing vague digestive disturbances. Food allergy may be a major factor causing leaky gut syndrome. Other factors include a hidden gut infection from bacteria (H. Pylori), parasites (sometimes pinworms), or even a gut yeast/Candida infection that can disrupt the normal balance of intestinal flora. Stool studies may be helpful in making the diagnosis. Treatment of the hidden infection sometimes decreases allergic symptoms. The Elimination Diet Test for food allergies: If you completely remove a food from the diet for 5-7 days, symptoms will disappear if that food is the only one causing symptoms.Following an allergy elimination diet may help to determine if a food is causing symptoms. Some physicians use therare foods diet as a test. This rare foods diet advises using only foods that the person rarely or never eats. This diet would include things like lamb, sweet potato, cabbage, or a rarely eaten type of fish and plain distilled water and nothing else for 5-7 days. If symptoms are eliminated on this diet then one can add one food family back into the diet every 3 days to determine which foods you are allergic to. Blood test for food allergies: There are several medical laboratories that offer blood tests for the identification of food allergies that measure IgE and IgG antibodies against foods. These tests are not always that accurate and sometimes show false positives and false negatives. These blood tests are sometimes considered controversial in the medical community and therefore most health care insurance will not pay for these tests. However, they may be very valuable in identifying major food offenders…. and are very useful especially in children when we find it sometimes very difficult to skin test. Skin tests for food allergies: The best and most reliable skin tests for food allergies are “Intradermal Skin Tests” based on the book, Relief At Last, by Joseph Miller, M.D. ; and also, recommended in the book, Is This Your Child, by Doris Rapp, M.D. Jonathan Brostoff, M.D, also explains this type of Maximal Tolerated Intradermal Testing and Treatment in the allergy textbook, Food Allergy and Intolerance. Treatment for Food Allergies: Some people will benefit from immunotherapy for food allergies. This type of treatment, Maximum Tolerated Intradermal Dose, is based on Serial Dilution Endpoint Titration Allergy Testing recommended by the American Academy of Environmental Medicine and the American Academy of Otolaryngic Allergy. Treatment is for both adults and children using weekly injections for the foods they cannot avoid. We can treat also with sublingual drops. Maximum benefit usually occurs within weeks of beginning treatment. Enzyme Potentiated Low Dose Allergy Injection: This is a “homeopathic” type of very low dose allergy treatment that was developed in England by Dr. McEwen and it is available for selective patients unresponsive to other therapies. It involves getting one injection every 2-3 months for two to three years to decrease allergies. It is used to treat chemical sensitivity, widespread food allergies, and airborne allergies. In England and Italy this type of treatment is called Enzyme Potentiated Desensitization or EPD and utilizes the enzyme- beta glucuronidase. In the U.S. this type of treatment is called Low Dose Allergy treatment or LDA. Food Allergy Diet Rotation: Food allergic individuals may benefit from rotating foods. This means understandingfood families (we have a list for you to review). Just remember that any food you are allergic to should not be eaten more than once every three or four day. Repetitious eating is not recommended. This may be difficult but food rotation is very helpful in decreasing symptoms. For more information on diet rotation for food allergy see Rotation Bon Appetite, by Carolyn Gorman, available through the American Environmental Health Foundation in Dallas. Allergy immunotherapy treatment is recommended even while rotating foods. Allergy Testing and Treatment: M.I.T.D. and Neutralizing Dose. Environmental/occupational medical evaluations for acute and chronic illnesses. Environmental intolerance/multiple chemical sensitivity evaluation and treatment. Environmental and nutritional approaches (non-drug) to chronic conditions. Toxicologic/chemical injury evaluation and treatment. Preventive medical approaches to chronic illness. Independent Medical Examinations (IME’s) in environmental and occupational exposure injuries. Expert Testimony for occupational and environmental exposure cases, specifically relating to cases involving chemical toxicity, indoor air pollution, sick building syndrome, and chemical sensitivity. Indoor air quality environmental/occupational building and home investigations and recommendations. Allergy affecting the nose is the most common form of allergic disease affecting about a third of the population. When severe and annoying it requires proper treatment. Pollens, dusts, molds, animal danders, foods and fragranced chemical cosmetics are common causes. Some individuals require Allergy Immunotherapy (allergy shots) to cure the condition. Seasonal problems may benefit from medication and environmental controls. There are very safe medications currently available including intranasal steroids, nonsedating antihistamines, and Singulair. For year round chronic sufferers it is always important to determine if there is a chronic hidden infection. Nasal cultures are recommended for bacteria and fungus. This condition usually presents with symptoms of wheezing, cough shortness of breath. It is sometimes triggered by exercise. Cough variant asthma may present with just a chronic cough. Spirometry or breathing tests are advised for proper diagnosis. This is a simple test done in the office. Dust mite is the most common cause of allergic asthma. It is aninflammatory condition involving obstruction of the airways and usually responds well to an Environmental approach to treatment. Many asthmatics are very allergic and environmentally hypersensitive. It is important to determine what your allergic triggers are in order to treat it.. RAST Blood testing for allergy evaluation is recommended. All asthma patients should avoid fragranced products and fabric softeners. All patients with asthma should read the book “The Inflammation Cure” by Dr.William Meggs. Newer medications for asthma include antiinflammatories, bronchodilators and antihistamines. This atopic (allergic) rash can be caused by any contact allergen, food or inhaled allergen. In children foods may be a major factor. Hidden fungal allergy or bacterial infection may contribute to symptoms. RAST Allergy blood testing is recommended to determine what one is allergic to.Newer nonsedating antihistamines and environmental controls are usually helpful. Allergy immunotherapy may help dramatically. Enzyme potentiated desensitization has beeen very helpful in selected cases. Hidden infection and parasitic infection should be evaluated for. Many drugs can trigger hives including antibiotics. Molds are common cause of hives. Foods, house pets, chemical gases, insects bites, laundry detergents and fabric softeners can cause hives. Allergy evaluation is recommended for chronic hives. Treatment involves treatment for any hidden infection (sometimes fungal or parasitic), environmental restrictions, elimination diets, and antihistamines. Sometimes immunotherapy including Low Dose Allergy treatment is beneficial. This is a more generalized swelling of the body and the throat can close up. The whole body can swell. This can be lifethreatening. It is important to determine the cause. Drugs are common causes of both angioedema and urticaria. Allergy may be a major factor in all types of recurrent headaches and migraines. Behavioral problems including hyperactivity, irritability and restlessness, fatigue, weakness, achiness, cognitive dysfunction, coarse tremor, and tics may all be manifestations of allergy. It is even possible for seizures to be a manifestation of an allergic reaction. 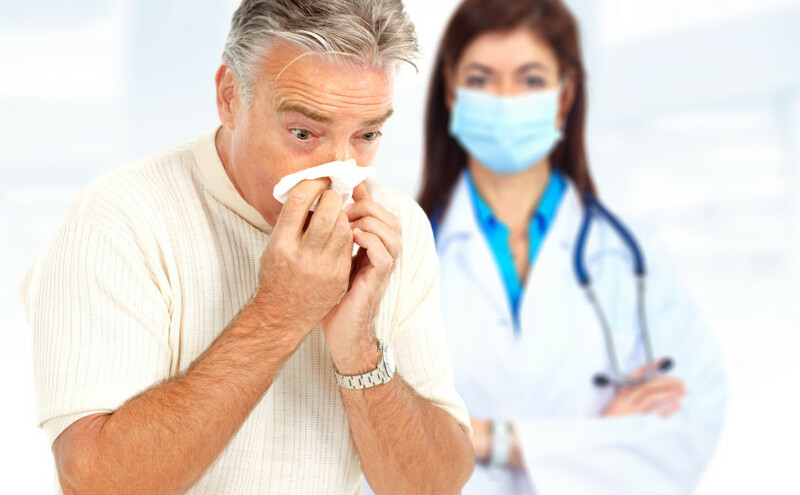 Chemical, food and mold allergens are common causes of neurolgical allergy symptoms. A trial of avoidance of certain foods and chemical exposures sometimes gives dramatic relief of symptoms. I usually advise removal of all smelly chemicals from the home including fabric softeners, perfumed products, air fresheners, and smelly chemical cleaning agents. Cat allergy can also trigger migraines and neurological allergy symptoms. This is an area of neglect in modern medicine. Food allergy is a common cause of gastrointestinal symptoms as well as vague symptoms of fatigue and irritability. Cow’s milk is the most common cause of topical gastrointestinal allergy. Cold sores inside the mouth as well as reflux symptoms, heartburn, gas, bloating , bad breath, diarrhea, rectal itching and constipation can all be caused by hidden food allergy. Skin testing for foods commonly eaten is recommended. Usually foods commonly eaten and craved are suspected allergens. This can be caused by pollens, foods molds, dust chemicals and animals. Contact lenses can be a cause.Medications are helpful but it is important to determine the cause to eliminate the problem. Itching of the corners of the eye are usually due to pollens, animal danders and dust. Itching of the whole eye is usually caused by foods. Eyelid irritation is usually caused skin care products, eyeliners , scented cosmetics and hair care products. Most people are completely unaware that fatigue is a cardinal symptom of chronic allergy. Along with itching, day/night and seasonal variations and susceptibility to respiratory infections, fatigue is one of the most common allergic symptoms that is rapidly alleviated by proper allergy treatment which usually includes avoidance of incriminated allergic foods, and desensitization to inhalent allergens. Some doctors have referred to this as “bladder asthma”.Foods are the most common causes of genitourinary allergy. In the case of enuresis , the most common offender is milk followed closely by artificial colors. In recurrent cystitis and vulvovaginitis citrus fruits, black pepper, tomato, chocolate and cola are common offenders. Inhalent allergens may play a role in the very allergic child. A significant percentage of arthritics suffer from atopic palindromic arthritis. Their joint pains are precipitated by food allergy reactions. Pork has a predilection for involvement of the joints. Pork has frequently been overlooked as a major cause of allergic arthritic pain. Joint pains are a late manifestation of of a food allergy reaction and may occur two to five days after eating a food. Other foods causing arthritis include beef, chicken, turkey , milk, wheat and corn. Both inhalent and food allergies are often overlooked during the search for headache cause. Food allergy is the more common cause. Neck pains, achy legs, fatigue, insomnia, irritability, and pallor all increase the suspicion of food allergy. The most common foods causing migraine include milk, chocolate, peanut, pork, egg, coffee, and chicken. Cheese, chocolate, MSG, soy sauce, beers and wines are vasodilating foods and may cause headache. Molds and chemical fumes and smells can cause headache. Cat allergy can trigger headache. This tic disorder may respond dramatically to an environmental approach which includes an allergy evaluation and treatment, environmental controls, stress reduction, a low allergy nutritional plan, elimination of any hidden infection. For further information go to Latitudes.org and read the book Tics And Tourettes by Sheila Rogers in which Doctor Robbins environmental approach is discussed. Sublingual allergy drops or optimal dose immunotherapy can be prepared to help you tolerate a dog or cat in the house. The ideal recommendation is to remove the animal from the home if you are allergic. Utilizing very low doses of the influenza viral vaccine this treatment developed by Allergist Joseph Miller, M.D. can help to eliminate both type 1 and type 2 herpes infections and cold sores. It can also help the symptoms of Epstein Barr virus and Chronic Fatigue Syndrome. Dust sensitive individuals should create an allergy free bedroom. Free information on how to do this can be obtained through this office. Carpet removal from bedrooms is recommended and encasing mattresses and box springs. Eliminate any dust collectors in the bedroom and clean all air conditioning vents and filters regularly. There are many causes including poor ventilation and airflow, moisture contamination and roof leaks, poor air conditioning and air duct system maintainance, inadequate fresh air, improper remediation and chemical air pollutants. Individuals who become ill in sick buildings should avoid those buildings until they are determined not to be a health hazard. Most individuals with frequent sinus problems have hidden allergies and should be properly evaluated. Hidden infectioncaused by bacteria and fungi are also common and require treatment. Many have fungal sinusitis. Cultures of the sinuses can be done for an accurate diagnosis. Allergies are the most common causes of recurrent sinusitis. This approach to allergy desensitization allows us to treat your allergies safely and effectively and gives us the option of teaching you how to take your injections at home. For further information ask for the “Goldilocks Allergy Treatment” article.Also for children we offer sublingual allergy drops instead of injections! We all need to practice preventive health strategies daily. A daily health plan is necessary to prevent the progression of any disease process. Doctor Robbins is board certified in Preventive Medicine and has expertise in Health Education and can advise you in developing a healthy lifestyle action plan. Yearly checkups are recommended. Most of us never notice the one to two quarts of mucus, produced daily by glands in the nose and throat, necessary to moisten and clean the nasal membranes, humidify the air, clear foreign matter that is inhaled and fight infection. This is because the majority of it is swallowed unconsciously within the course of the day. Sometimes however, a clogged, or dripping sensation from the back of the throat referred to as, “post-nasal drip” occurs causing mild irritation and discomfort. Abnormal Secretions—Excessively thick mucus secretions, or increasingly thin secretions can contribute to post-nasal drip. Thick secretions may result from dryness due to overheated buildings in the winter, sinus infections, or nasal allergies. These can be from foods such as dairy products. Sometimes thin secretions can become thick and turn green or yellow because of bacterial infection in the sinus area. Thin mucus secretions may contribute to post nasal drip as well. These can be due to certain spicy foods, pregnancy, cold temperatures, hormonal changes, allergies, or bright lights. Some medications, such as oral contraception, or blood pressure medication may cause increased secretions in the sinus passages as well. Swallowing—Sometimes muscles in the throat, mouth and esophagus fail to interact properly causing secretions to overflow into the larynx and breathing passages. This can cause hoarseness, coughing, and throat clearing. Age—Muscles often lose coordination as we get older and lose strength. This can make it difficult for secretions to easily pass into the stomach. Sleep—Secretions gather since swallowing occurs less frequently. Coughing and throat clearing is often necessary when waking. Stress—Spasms may occur when throat muscles tighten making it feel like a lump in the throat. Throat clearing can actually irritate soft tissue at this point, as it often produces little or no mucus. Swelling or growths—These, (when obstructing the food pathways) can prevent the smooth passage of mucus secretions. GERD (gastroesophageal reflux disease)— Causes the contents of the stomach to back up, spilling acid into the throat or esophagus. A physician must conduct a detailed ear, nose, and throat examination. If necessary, x-rays, endoscopic procedures and laboratory tests may be conducted. Bacterial Infection—Antibiotics for short-term sinusitis. Surgery for chronic conditions to open blocked passages. GERD—Elevating the head of the bed, eliminating caffeine and alcohol from the diet, and avoiding food or drink, two to three hours before bedtime. Certain over-the-counter and prescription medications are available to help treat GERD as well. General Measures—Drink more water, avoid caffeine and diuretics. There are some mucus thinning agents available. Using a nasal douche or neti pot may help drain the sinus passages as well. Although the practice of “saline irrigation” for allergy relief and the sinuses has been around for many years, there has been a resurgence of interest in the convention with the introduction of the “neti pot”, a teapot like container used to flush a saltwater solution through the nose and sinus cavities. By leaning over the sink and pouring the saline solution into one nostril, the neti pot helps rinse away mucus and other irritants in the sinus cavity and nasal passages. Finding homeopathic remedies and “natural allergy medicine” solutions is important for many people, especially during times of high pollen such as during the spring and fall seasons. Many people with sinus allergies develop a chronic condition known as, “rhinosinusitis”. This involves inflammation and sometimes infection of the sinus passages and cavities. Many centuries ago Ayurvedic Indian medicinal practices utilized saltwater to flush the nasal cavities of ancient peoples to remove foreign debris, pollen, and excess mucus. Practitioners of homeopathic allergy relief would irrigate the nasal cavities up to four times per day by delivering saltwater into one nostril and allowing it to readily drain out of the other. Should not be used for infants. Physician should be consulted regarding regular use. In certain cases, may actually create conditions for sinus infections. May remove critical lining of mucus membranes necessary in sinus passages with overuse. Sterile water must be used due to a parasitic amoeba, known as, “naegleria fowleri”, that has been linked to several deaths in neti pot users. A neti pot is a vessel that resembles a smaller version of Aladdin’s lamp. When warm sterile saltwater is placed in the pot, the user tilts their head to one side and places the spout in the nostril that is elevated. They then allow this to drain through the nasal cavities and through the other nostril. Nasal irrigation should never be attempted using non-sterile water or seawater due to issues with contamination. Kosher salt is safe for use and prevents the discomfort of a burning sensation associated with a non-isotonic solution. A deviated septum can wreak havoc in the lives of both allergy and non-allergy sufferers, depending on the significance of the blockage created by the condition. When the thin wall (nasal septum) between the nostrils is displaced to one side, this causes one nasal passage to be smaller than the other. This can be significant, blocking one side of the nose and reducing the flow of air to the lungs. Crusting or bleeding may occur as well, due to the effect of dry air flowing through the nose. Obstruction of the nasal passages can happen also because of swollen tissues in the lining in the nose. Many people live their entire lives without ever realizing they have septal deformities. Some structural abnormalities do however cause troubling symptoms. Obstruction of the nostrils: This may cause difficulty breathing, especially when allergies, a cold, or upper respiratory infection is present, which can already cause swelling or narrowing of nasal passages. Nosebleeds: The drying of the nasal septum may increase the risk for nosebleeds. Facial pain: One-sided facial pain may be caused by a deviated septum. Noisy breathing while sleeping: Infants and young children may breath loudly if intranasal tissues are swollen or if they have a deviated septum. Over awareness of the nasal cycle: Becoming overly aware of the cycle of obstruction from one nostril to the other may indicate a deviated septum. Preference for sleeping on a particular side: A strong preference for sleeping on one side, as opposed to another may indicate that breathing is impaired due to a narrow nasal passage. Injury: Injury during childbirth may cause a deviated septum in infants. Accidents may occur in children and adults that cause trauma to the nasal structure. Aging: The normal aging process can exacerbate an already existing condition with the septum. Acute Rhinosinosinusitus: This can make a deviated septum worse because of swollen nasal tissues that will further narrow nasal passages and cause obstruction. Treatment of nasal obstruction may include medications to reduce the swelling, or adhesive strips that may help open the nasal passages. To completely correct a deviated septum however, surgery is necessary.